The Milwaukee Brewers promote responsible drinking and positive fan behavior at Miller Park. The Brewers Fan Code of Conduct and the details of the Brewers alcohol management plan that appear below ensure that fans have a safe and fun experience. Guest Code of Conduct For your safety, please beware of bats and balls that may enter the seating areas. Guests are allowed to keep any baseball that enters the seating area as a souvenir; however, guests are not allowed to enter the playing area to retrieve balls or otherwise interfere with baseballs in play. Violators of this policy are subject to ejection from Miller Park. Guests may not interfere with the progress of the game or go onto the field. Guests may not use foul, profane or abusive language or make obscene gestures. Guests may not possess firearms and or other weapons, fireworks or other materials/items deemed hazardous or dangerous by the Milwaukee Brewers. Guests may not use laser pointers, sirens, or other items that may distract or interfere with the play on the field, interfere with the enjoyment of other guests, or interfere with Miller Park staff and workers. Use of tobacco products in any form, including smokeless tobacco and electronic cigarettes, is prohibited in Miller Park except in designated areas. 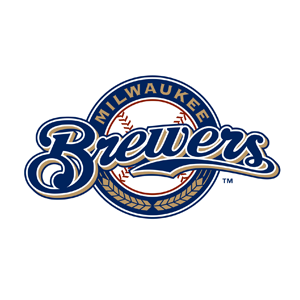 The Milwaukee Brewers reserve the right to remove any guest from Miller Park who violates Miller Park smoking policies. Guests may not trespass, solicit, peddle, loiter, sell or attempt to sell any tickets on Miller Park private property with the exception of the designated Miller Park Ticket Resale Zone (located adjacent to Helfaer Field). Ticket sales inside the Resale Zone must comply with Wisconsin law. Guests may not engage in any commercial activities on Miller Park private property (including but not limited to the display of signage or the offering of product samples) without the prior written consent of the Milwaukee Brewers. Guests may not use wheeled footwear or skateboards inside Miller Park. Guests must comply with all rules and policies of the Milwaukee Brewers. Visit Brewers.com for more information. The safety of our fans is our priority. As part of our commitment, we have partnered with Miller Lite, Pepsi-Cola, Delaware North Sportservice, TEAM Coalition and Impark to implement a Designated Driver program at Miller Park. To register, the driver of a vehicle parked in the Miller Park lots must pledge not to consume alcoholic beverages while at Miller Park or in the Miller Park parking lots. The Designated Driver must be 21 years of age, have a Miller Park parking receipt for that game, and a valid driver’s license. The driver will receive one coupon for a complimentary soft drink. Participants may register at the Designated Driver kiosk located at the Home Plate Gate or at Guest Relations behind section 419. Guests may sign up for the Designated Driver program from the time Miller Park gates open until one hour after the start of the game.